We supply synthetic oils for compressors handling hydrocarbon gases and mixtures, chemical gases and industrial refrigerants, as well as for vacuum pumps and other equipment. These lubricants are currently being used in oil refineries, chemical plants, CHP systems, distilleries, land fill gas recovery, oil and gas rigs, liquid gas tankers, carbon dioxide plants, natural gas processing, refrigeration, vehicle air conditioning, building air conditioning, vacuum pumps, etc. 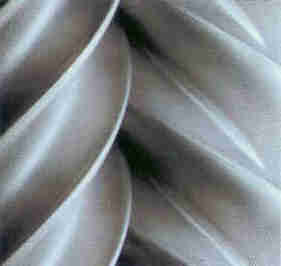 Lubricants are also available for chains and gears and similar equipment. Food grade lubricants are included in the product list.